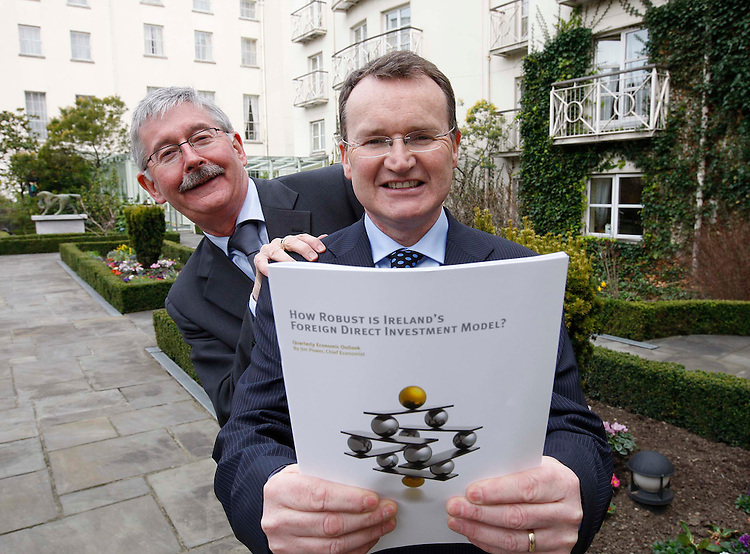 Adrian Hegarty, Group Chief Executive Friends First (left) and Friends First Chief Economist, Jim Power (right), pictured here at the company's Quarterly Economic Outlook entitled "How Robust is Ireland's Foreign Direct Investment Model?" held in the Merrion Hotel, Dublin. Pic. Robbie Reynolds..